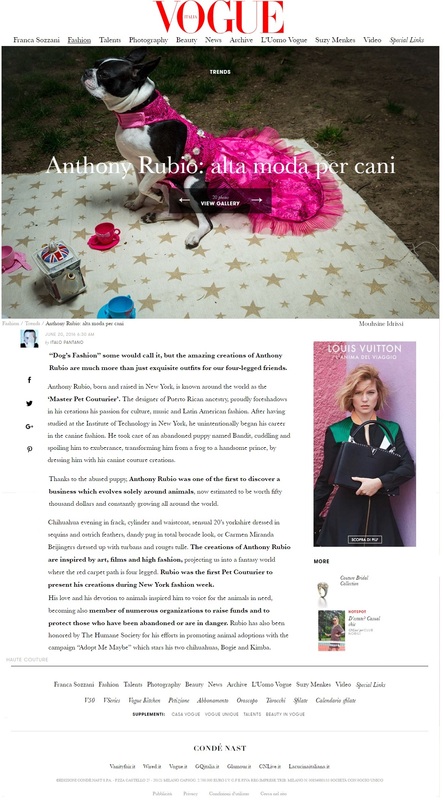 Anthony Rubio Designs featured article in Vogue Italia. 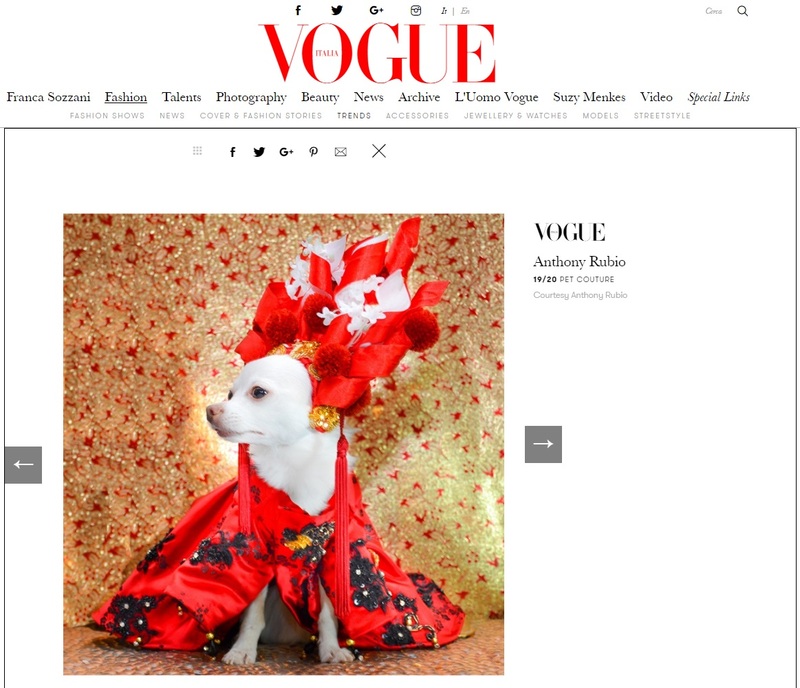 Italian Vogue featured an article on Anthony Rubio and his one-of-a-kind creations for dogs along with a twenty picture spread. Read the full interview at the link below.